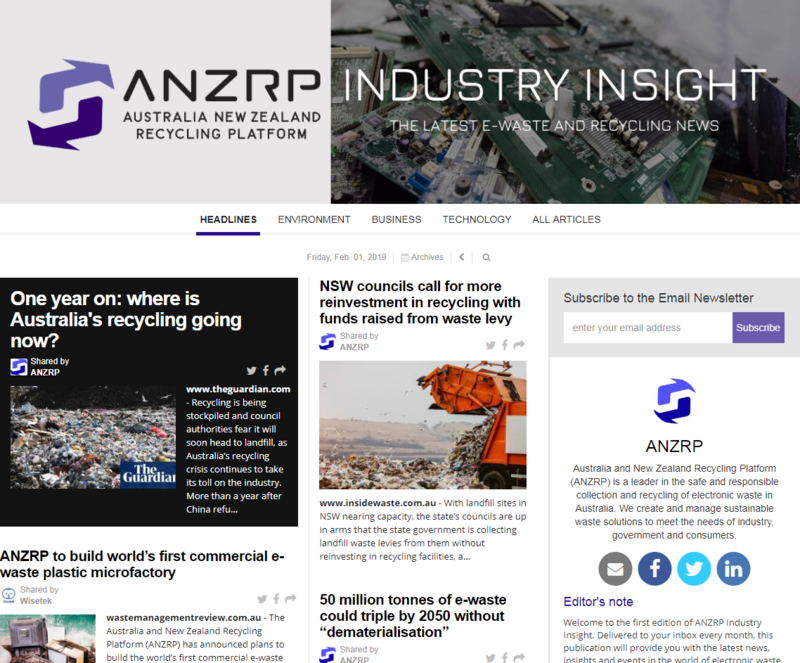 Last month we published our first edition of ANZRP Industry Insight, a wrap-up news service for our Members, Collection Partners and colleagues, bringing you the latest in current affairs and industry based events in the world of e-waste and recycling. We hope that it can provide a snapshot of the month just gone, and be of value to many of you who are too pressed for time to catch up on industry news regularly. Topics covered include new product stewardship schemes, local and state government waste announcements, new innovations, relevant international advancements, market analyses, and commentary on trending topics such as the China National Sword, circular economy and the global awakening to the issue of plastics. Initially this will be a monthly service, with the view to increasing to a fortnightly publication.